I'm sure many of you have seen this before, but it made me smile this morning and I wanted to share. 2. Type "Who's the cutest?" into the search box. 3. Hit the I'm Feeling Lucky button underneath. 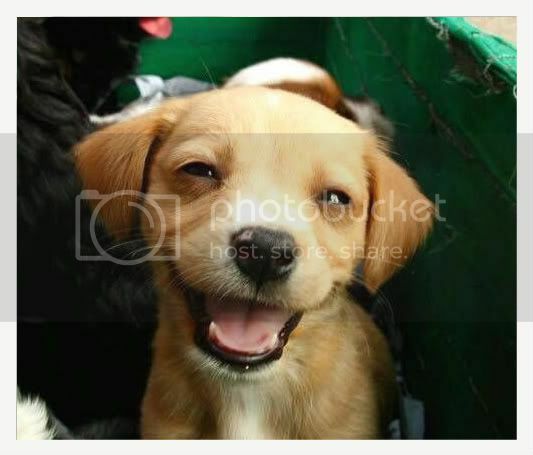 P.S.-Searching for "smiling puppy" on Google can be detrimental to your health if you're easily affected by cuteness. Oh that's so cute. Lol.